Raising award winning Alpacas is a lot or work and requires the tools, knowledge and support from a larger community to succeed. We highly recommend you build a support network that includes experts in Marketing, Accounting, Vetrinary care, Genetics, Local knitters/spinners, Feed (Hay, Grain), etc. Each area of the USA has local affiliations to start building this network.We live in Northern California so we are a member of Calpaca and also members of the national organization AOBA (Alpaca Owner and Breeders Association) and ARI (Alpaca Registry). Here's some brochures from our local Alpaca organization in Northern Calfiornia. Calpaca has monthly meetings and provides support to local ranches. We're always adding to this list so bookmark this page for the latest in resources! If you would like us to add a resource, please fill out the contact form to the right. Fiber artists may raise alpacas for an annual supply of raw materials. What's your reason? We'd suggest you pause and explore this before you decide to own alpacas. It's a 365 day committment with many rewards and benefits. Entrepenuers who want to run an eco-friendly business. 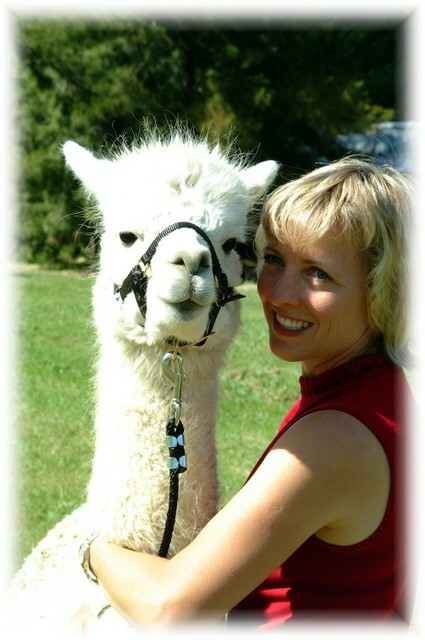 The AOBA is an excellent source of information on alpacas, breeders and scheduled alpaca events. The ARI has an excellent alpaca database for pedigree information as well as on-line articles about the alpaca industry. Raising Alpacas means you are in the business of growing fiber. Here's the latest Calpaca Resource guide to market and sell your fiber.